Light, thin, and flexible. 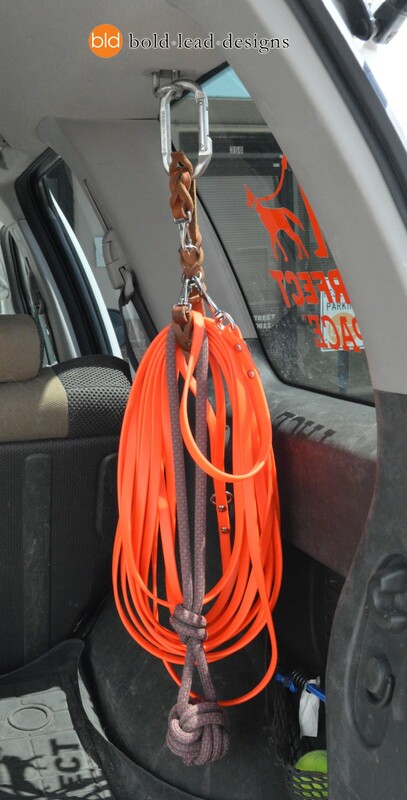 This narrow dog lead is designed for training, dog sports such as nose work, and is perfect for play time and exercise. 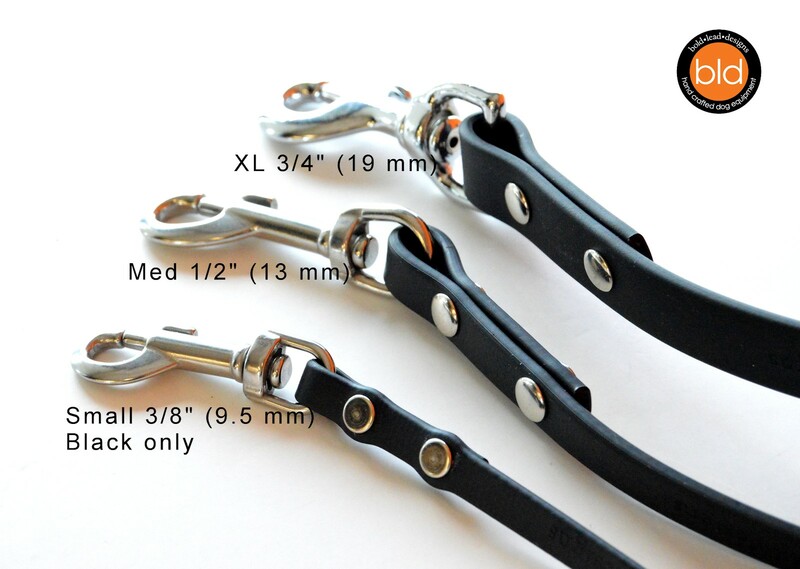 Customize the length and handle style! New extra small width/weight is great for small dogs, puppies, when our regular Brahma Leads are just too heavy or bulky. A safer alternate to retractable leashes), this light line is perfect where freedom to wander is desired, but being off-leash is dangerous. 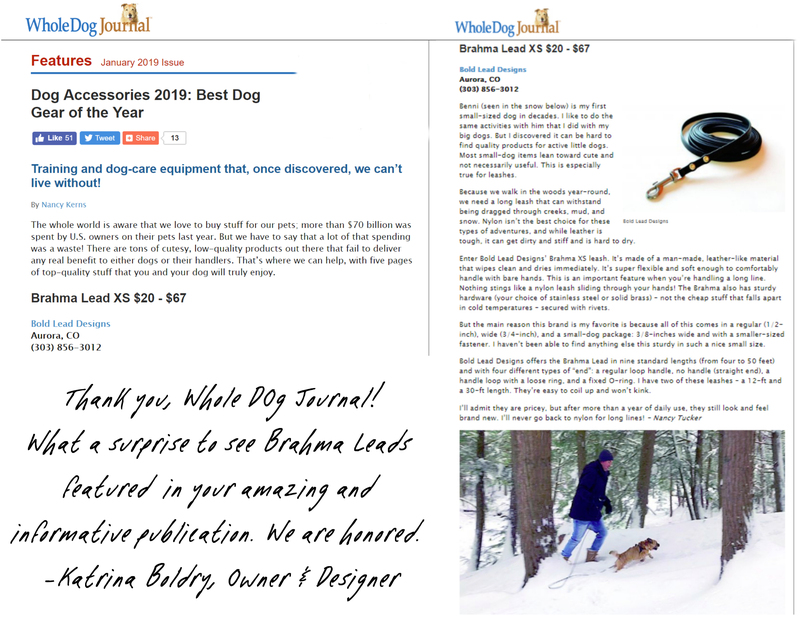 This dainty lead is very flexible, and best for dogs under 30 pounds. 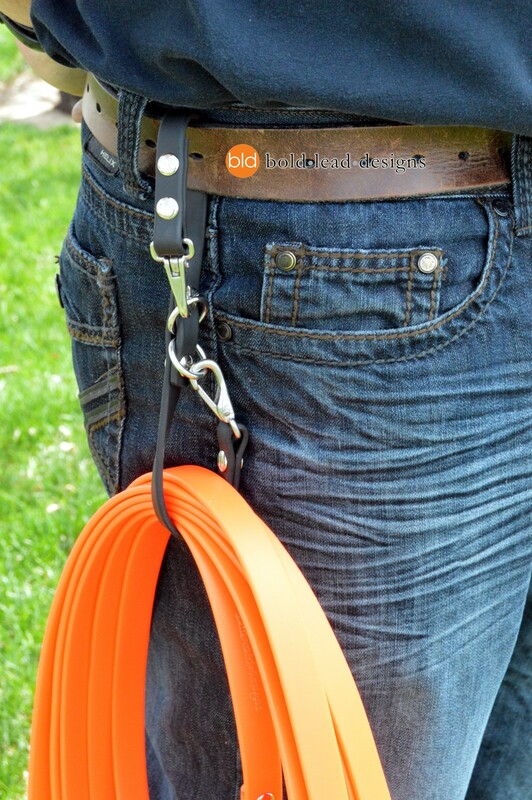 Makes a great light check cord for field work or house training for larger breeds when a heavy duty line is unnecessary. Select a regular handle, or no handle. 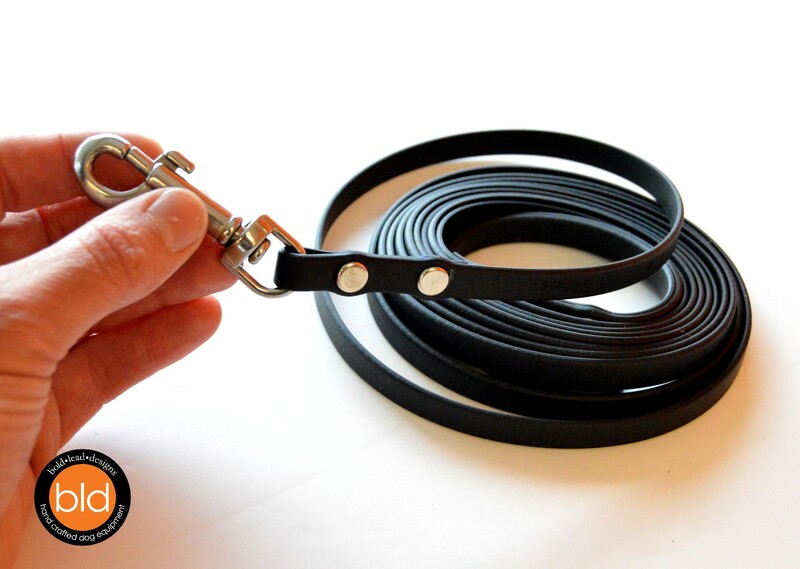 Keep your long line organized or wear it on your belt (made with 1/2″ wide material) (details here). Brahma soft-grip is a man-made leather alternative. It is flexible has a nice weight and feel that resembles leather. It won’t absorb dirt/moisture or pick up burrs like rope or nylon leads. Brahma Leads XS come with our unmatched Lifetime Warranty. Standard hardware: small size bolt snaps, available in Stainless Steel or Solid Brass. Brass Baby scissor snap is available upon request but is not recommended. Brahma Soft-Grip is constructed with webbing on the inside and a durable, non-tacky PVC coating on the outside. This durable material is great for any extreme weather condition, resilient in cold weather, and is resistant to abrasions. It’s kinder to the hands than webbing or rope, and also resists knotting and tangling. Easy to clean: Just wipe clean with soap and water. Need heavy duty? See our regular Brahma Leads here. Standard bolt snaps are the most reliable hardware. Brass Baby scissor snaps are very tiny only recommended for toy and small breeds or for dexterity needs. Scissor snaps are not as reliable as the standard option.